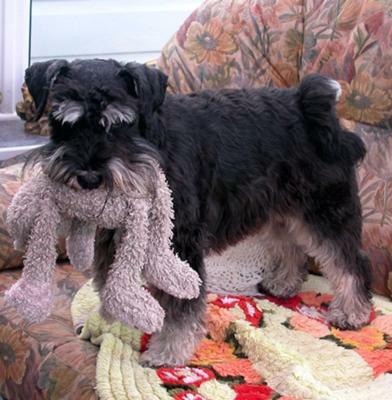 I'm a Mini-Schnauzer called Rebel and I'm 3 in June..and my tail is curly !! I love my squeaky cat and where I live.. 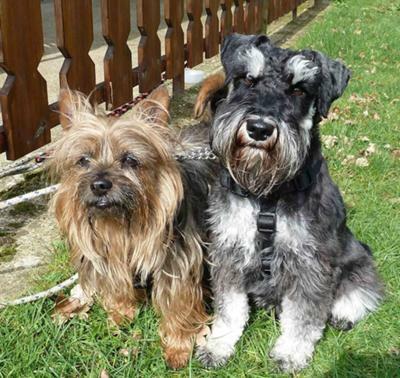 I have a best pal who's an Australian Silky Terrier called Rambo.. he's 8 and we are inseparable..
Mum took a photo of us together at Warren Park..